A sixteen channel digital video capture card, the GeoVision GV-1480B-16 provides an essential component for the GV-Series PC based digital surveillance system. With the GV card, you can connect up to 16 cameras to the GV series DVR systems for real-time video recording of 480 FPS (frames per second) in CIF resolution. 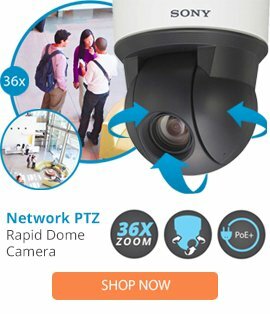 At the higher D1 resolution, the DVR system still offers a solid recording rate of 240 FPS for more detailed surveillance. The PC based digital video recorder (DVR) card captures live video data to your hard drive or network drive for archival purposes. The GeoVision GV-DVR system allows for processing video, audio, and data from local and remote network surveillance environments. Using the latest version V8.5, the GV-Series surveillance system delivers high-quality video performance with efficient resource management. The GV-Surveillance along with Video Management Platform supports the core system to provide performance-enhanced video monitoring and various advanced video analytics/control features for up to enterprise level security. For a system with a smaller hard disk drive, the GV system features adjustable frame rate and uses the latest H.264 video compression to save storage space and money.